Would you rather take a trip to Stockholm or Gothenburg? If you feel like this question is a bit of a no-brainer, and you would choose the ultra posh city of Stockholm without a second thought, I don’t blame you. It’s an undeniably spectacular city. In fact, while living in Sweden for the past three years, I would purchase train tickets to Stockholm whenever I craved a small dose of city life. (I’m a born and bred Torontonian currently living in rather small Swedish town). Until recently, I never really considered spending a few more hours on a train in order to visit the west coast city of Gothenburg. I thought Stockholm had it all. And let me tell you that I was so, so, so wrong. Last month, after nearly three years in Sweden, I finally made my way down to Gothenburg. All in all, I wasn’t quite sure what kind of city I expected to stumble upon, but I thought I would be stepping into a smaller version of Stockholm (wrong again, Anya). When I walked out of Gothenburg’s Central Train Station and made my way to a nearby tram and bus stop, I glimpsed the canals and felt the salty ocean breeze. On that first bus ride through Gothenburg’s downtown core, I saw part of the waterfront, the old shipyard, the impressive brick buildings in the Linné district, and countless patios packed with people soaking in the later afternoon sun. In those first 20 minutes, I realized that Gothenburg is not a smaller Stockholm. The two Swedish cities do share some similarities. However, Sweden’s second largest city has definitely made itself stand out from the nation’s capital. All in all, I highly recommend visiting Stockholm. But I will venture to say that if you’re travelling on a budget, short on time, or really want to see a Swedish city that will go above and beyond your expectations, a trip to Gothenburg is a must. Here are 10 reasons why you’ll fall in love with Gothenburg! If you’ve read any of my other posts, such as my Munich post or “Instagrammable” Lisbon post, you’ll be well aware that I’m always on the hunt for the most spectacular city views. I’m happy to inform you that there is no shortage of beautiful views in Gothenburg. 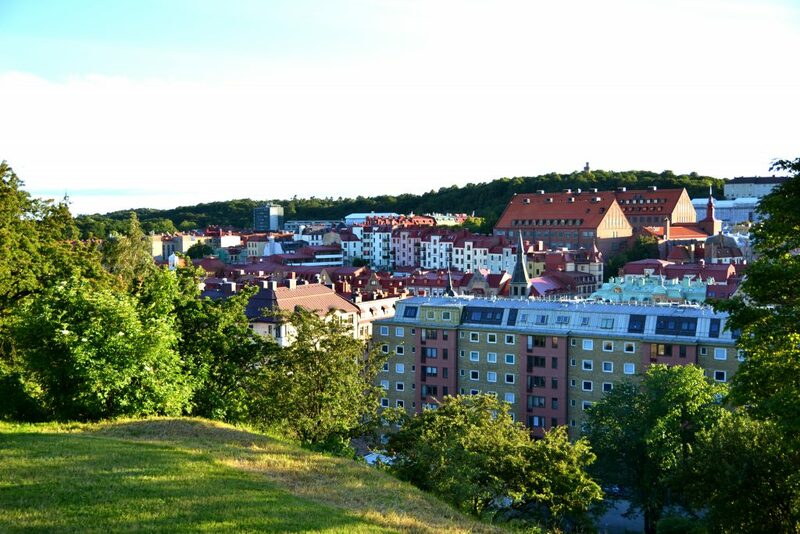 If you’re looking for a classic bird’s-eye view of Gothenburg, head up to the Skansen Kronan fortification on top of Risåsberget hill (found in the lovely and central Haga neighbourhood). Walking around the 17th century fortification will give you a 360° view of the city. View of Gothenburg from Skansen Kronan. If you’d rather see the city from sea level (see what I did there? ), you’re definitely able to! A journey on a Paddan Boat Tour will take you through the downtown canals and out by the old shipyards on the Gota River. 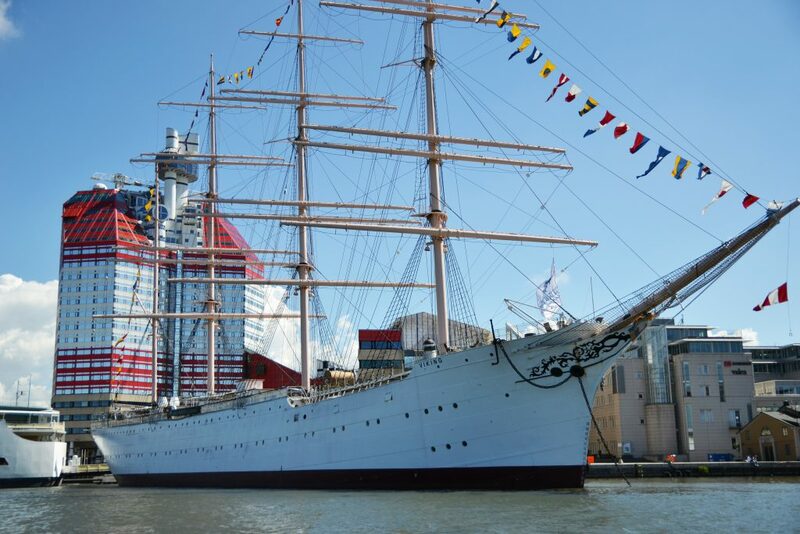 Without a doubt, you’ll experience some unique views of Gothenburg from the water. Admiring Gothenburg’s downtown core from one of the canals. Like Amsterdam in the Netherlands, downtown Gothenburg has canals. However, the connection between the two cities goes deeper than the simple presence of these small waterways. When Gothenburg was being built hundreds of years ago, Dutch engineers were hired to plan the city since they were familiar with building on marshes (e.g. Amsterdam was built on marshy ground). Due to this connection with the famous Dutch capital, Gothenburg can be rightfully called Scandinavia’s Amsterdam. How unique and unexpected is that?! Scandinavian countries have a reputation for being expensive places to visit. Fortunately, Gothenburg has an abundance of free or affordable sites and attractions to help you keep more of your money in your bank account. As mentioned earlier, the 17th century fortification is the place to go to in order to experience a spectacular bird’s-eye view of Gothenburg. Visiting the fortress at sunset can be especially magical. A snap of the city from a different side of the fortification. Almost sunset. The Garden Society of Gothenburg is an expansive park found just across from the central train station. 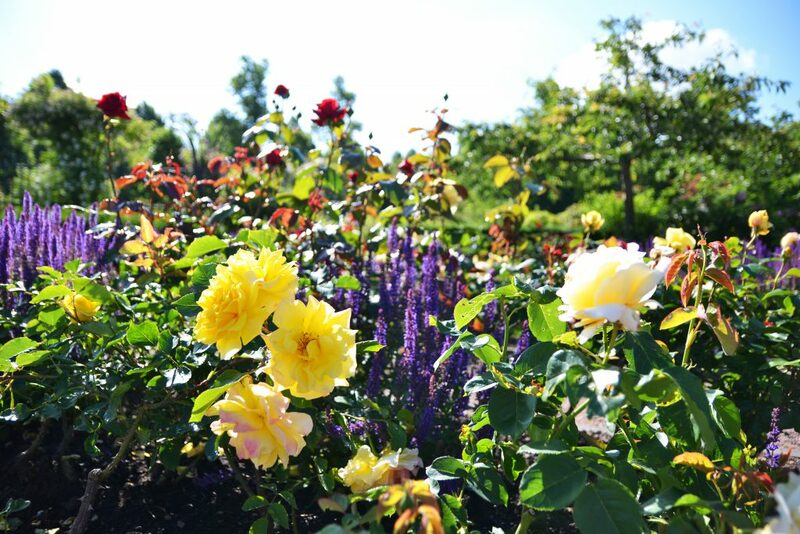 If you visit during the warmer months, you will find picture-perfect gardens filled with thousands upon thousands of roses. You maaaaaaay feel tempted to keep snapping photos until your memory card is full. 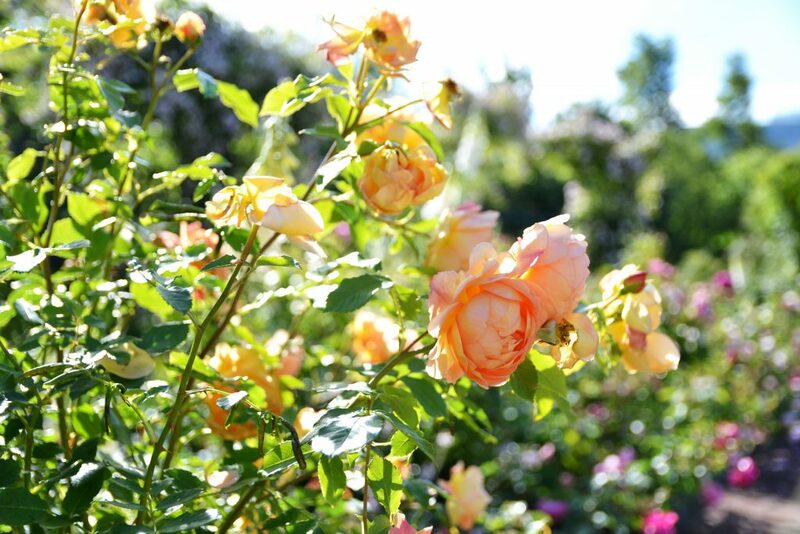 Beautiful, peachy roses in the Garden Society of Gothenburg Park. 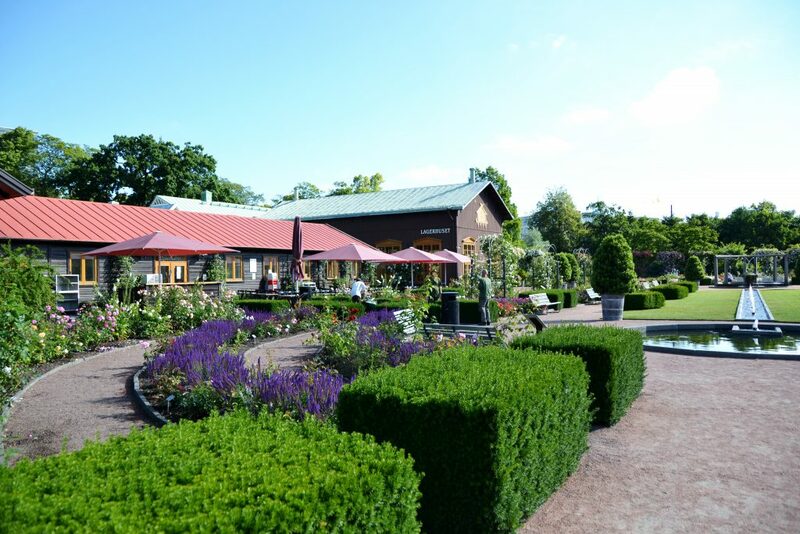 The Rosenkaféet in the park can be a great place to relax and take in the lovely surroundings. 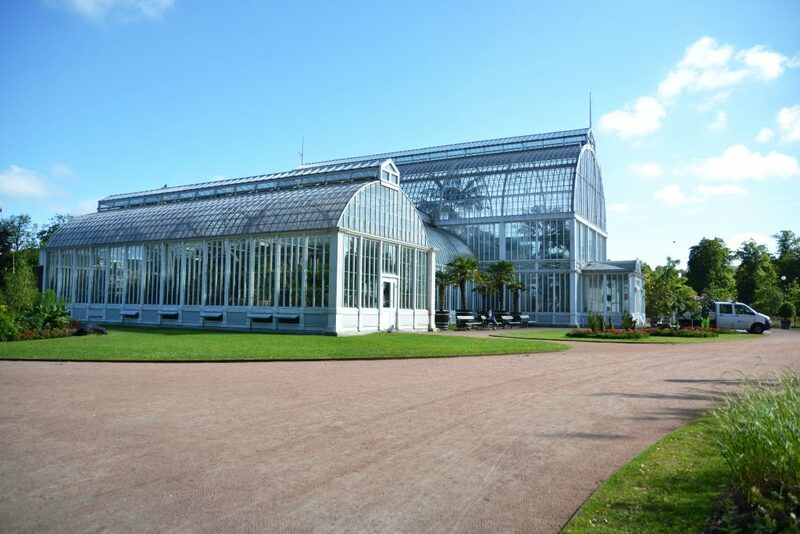 The Palm House is an impressive green house in the Garden Society of Gothenburg park. Inside the Palm House, you will find many tropical plants and places to sit if you’re in need of a bit of warmer weather. 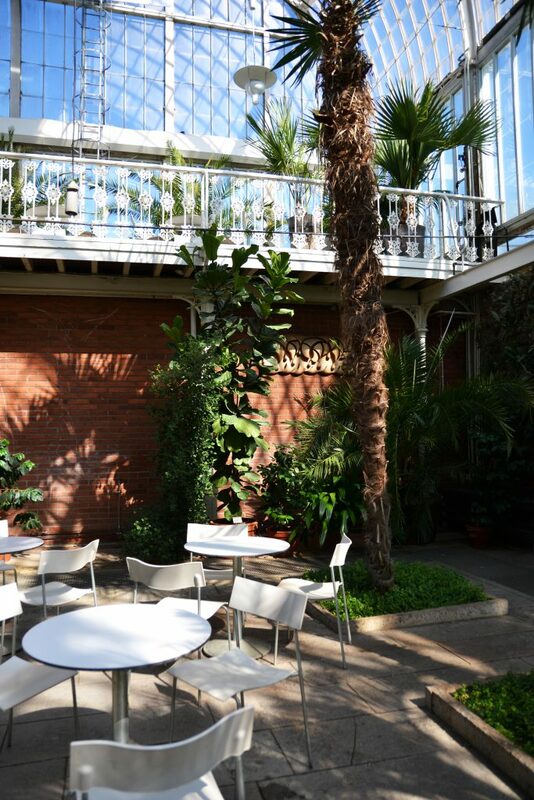 The greenhouse is open from 10 AM – 4 PM everyday of the week. The Palm House from a distance. 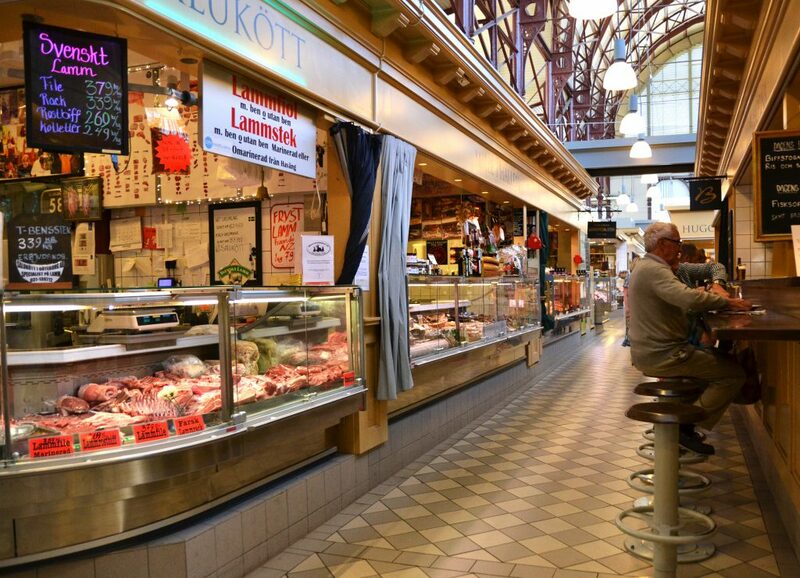 Gothenburg has two famous food halls: Saluhallen and Feskekôrkan (The Fish Church). Both halls stand along the same downtown canal and are fascinating to explore (check out their architecture!). 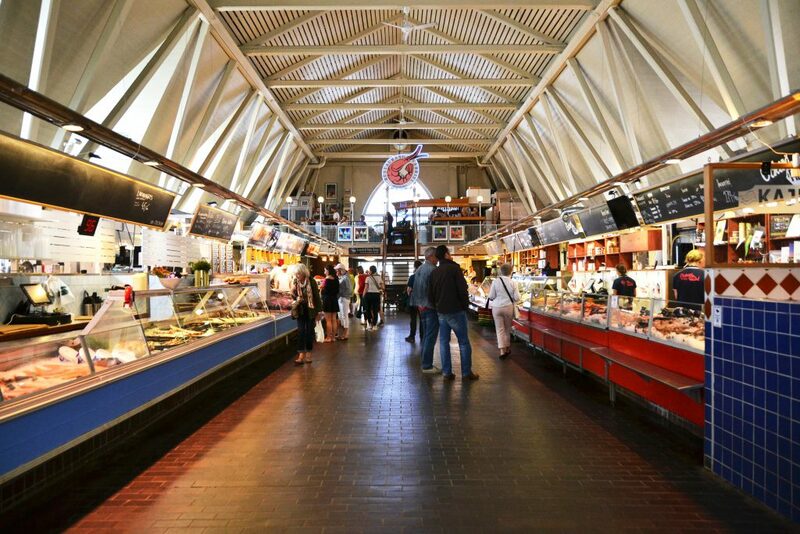 You can find mouth-watering goods from all over the world in Saluhallen and tons of fresh seafood in the Fish Church. A snap of the Fish Church taken from the canal. One of the reasons the building is called the “Fish Church” is because of it’s church-like exterior. 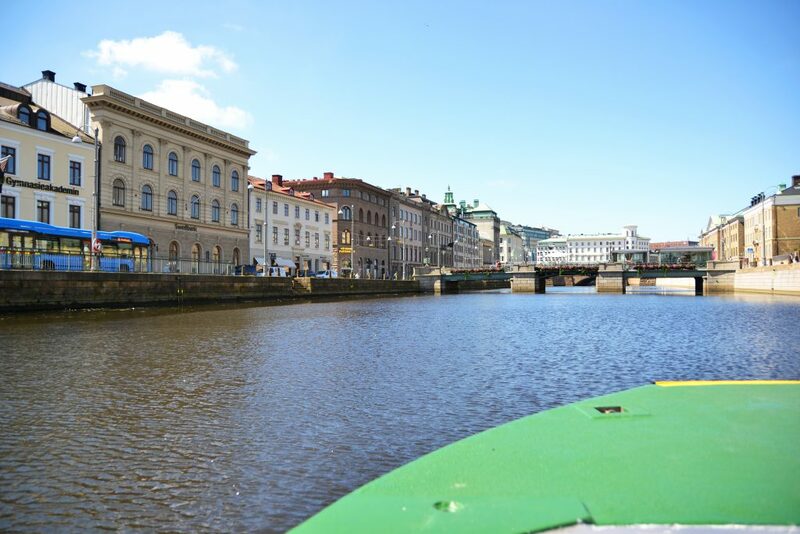 A Paddan Boat tour is a guided tour that takes you through Gothenburg’s downtown canals and out onto the Gota River.€18 may sound like a pricey investment, but this tour is still cheaper than the Stockholm equivalent. Cruising down the canals on the Paddan Boat Tour. Despite the cost, I highly recommend going on this tour since you get quite a bit of insight into the city’s history, develop a better understanding of the city’s layout, and have a bit of fun ducking under some super low bridges, such as the Cheese Slicer. Out on the Gota River. A snap featuring the 100+ -year old ship called the Viking and the Lipstick building in the distance. Click here for more information about Paddan Boat Tours. Liseberg is Scandinavia’s most popular amusement park. 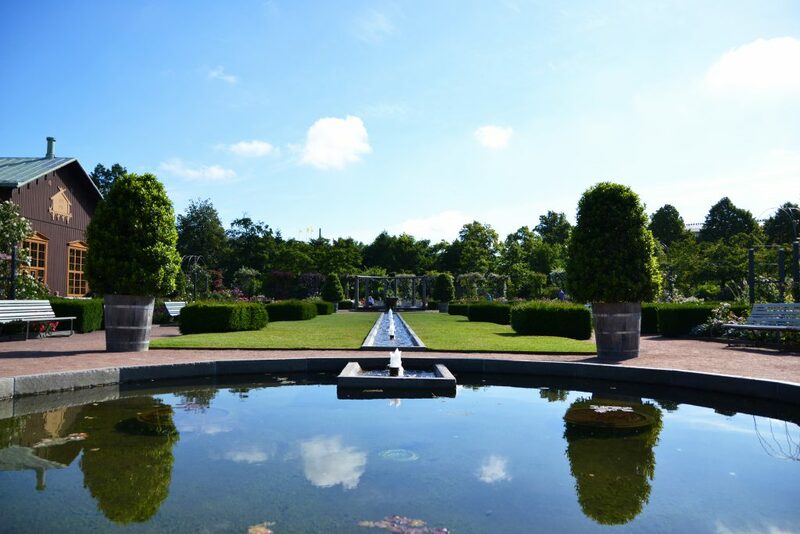 In addition to a variety of world-renown roller coasters, you can find many restaurants, performance venues, and a botanical garden inside the park. If you don’t want to splurge on an all-day all-access pass, it costs €10 to enter and walk around for the day. You can then purchase coupons to get on the rides of your choice. Click here to learn more about Liseberg. 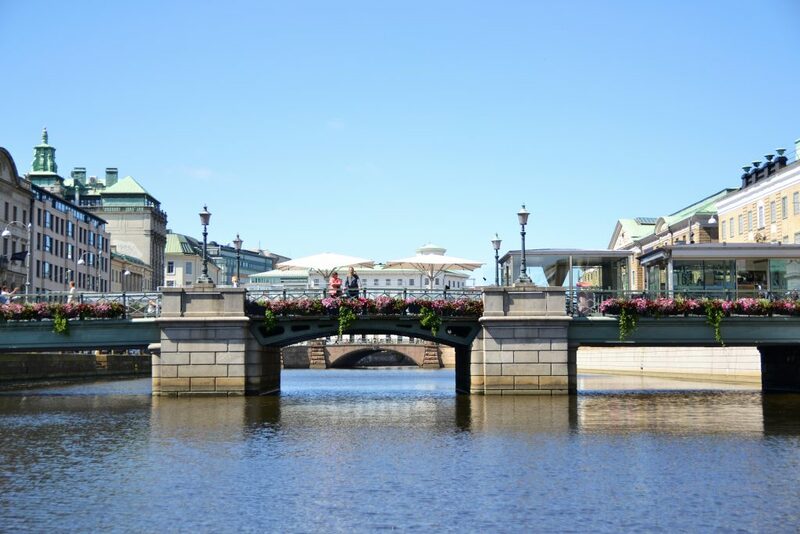 Budget Tip: If walking around Liseberg, taking a Paddan boat tour, and visiting a handful of Gothenburg’s museums and historical sites interests you, a Göteborg City Card may be worth looking into. Click here for more information about the card. Taking a short walk or tram ride from Gothenburg’s city centre to visit the old neighbourhood of Haga is a necessity when visiting the city. I’ve even given Haga it’s own large heading in an attempt to emphasize the area’s awesomeness. If you want a taste of what time travel could feel like (…someone’s been binge-watching the Outlander), go to Haga. On both sides of the district’s pedestrian street, Haga Nygata, you will find countless cozy cafes, quirky antique shops, and hundred-year old traditional wooden homes. 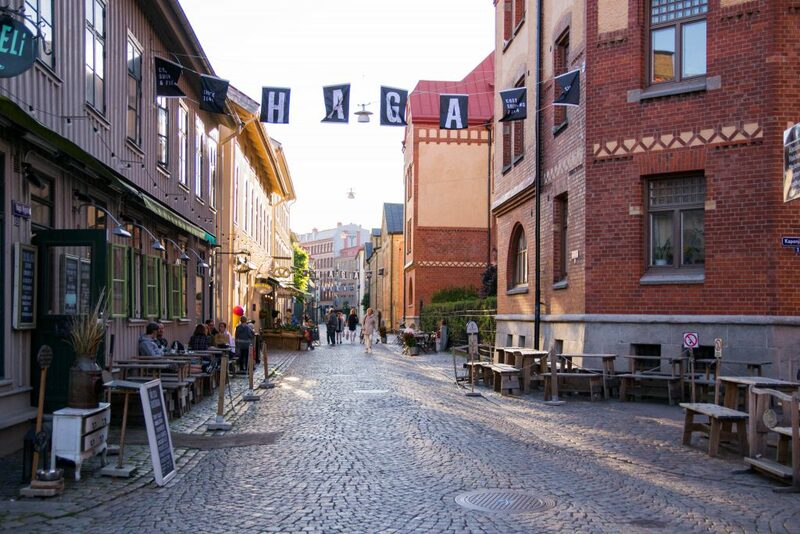 Haga’s quaintness will make you feel like you’ve magically managed to leave modern city life behind just by turning around a street corner. More Haga. What year is it again? Buses, trams, and ferries make up Gothenburg’s public transportation system. When travelling around downtown Gothenburg, you usually have many buses or trams to choose from in order to get where you need to go. Buses and trams typically arrive and depart on time. What’s fantastic about Gothenburg’s public transportation system is that you can buy and use passes and tickets though the city’s Västtrafik To Go app. This very same app lets you look up your journeys too. Of course, if you don’t have access to data, you can buy tickets and passes from convenience stores, such as Pressbyrån and 7-Eleven. A 3-day/72-hour pass for the Gothenburg zone costs just under €19 (that’s cheaper than a 72-hour public transportation pass in Stockholm). This pass lets you use all buses and trams to get around Gothenburg AND lets you take quite a few ferries out into the Gothenburg Archipelago. If you’re thinking about visiting the archipelago while in Gothenburg, the 72-hour public transportation pass is totally worth the cost. (FYI I highly recommend visiting the archipelagos). As suggested above, if you’re planning on spending more than a day in Gothenburg, I encourage you to take a trip out to the Southern or Northern Archipelago. (NOTE THAT: Ferries travelling to and from the islands in the Southern Archipelago are included in the 72-hour Gothenburg public transportation pass). 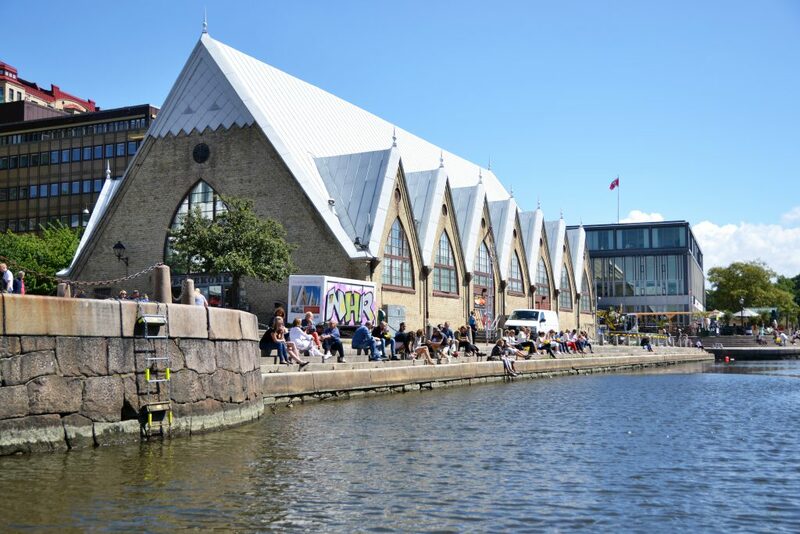 To reach the Southern Archipelago, you can take Tram 11 from downtown Gothenburg to the Saltholmen boat terminal and hop on one of the ferries. During my stay in Gothenburg, we took the ferry to Bränno Husvik, walked across the island (only a 35-minute walk if you’re short on time), and took the ferry from Brännö Rödsten back to Saltholmen. 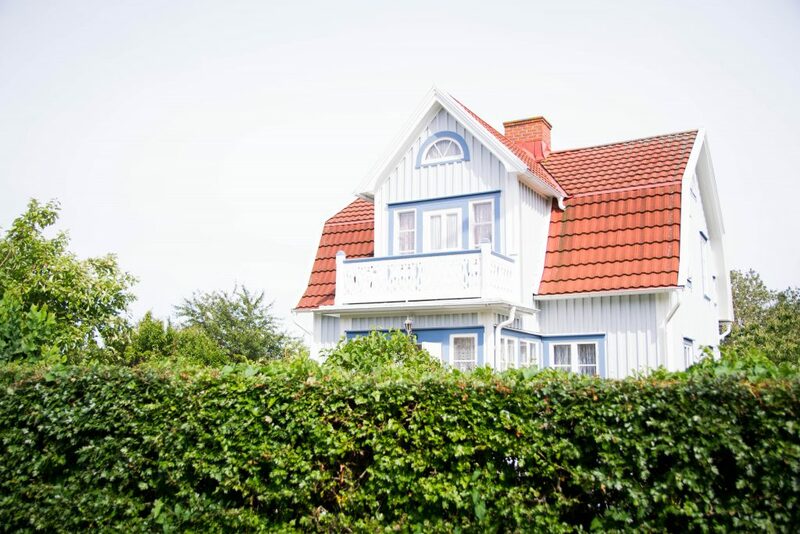 If you’re craving to catch sight of some idyllic coastal landscapes and picture-perfect vacation homes, visiting Brännö is a must. I’ll let the photos do the convincing. Passing by Styrsö on the way to Bränno Husvik. Bay-Watch (caption taken from Electric Blue Food). Thinking about visiting the Southern Archipelago? 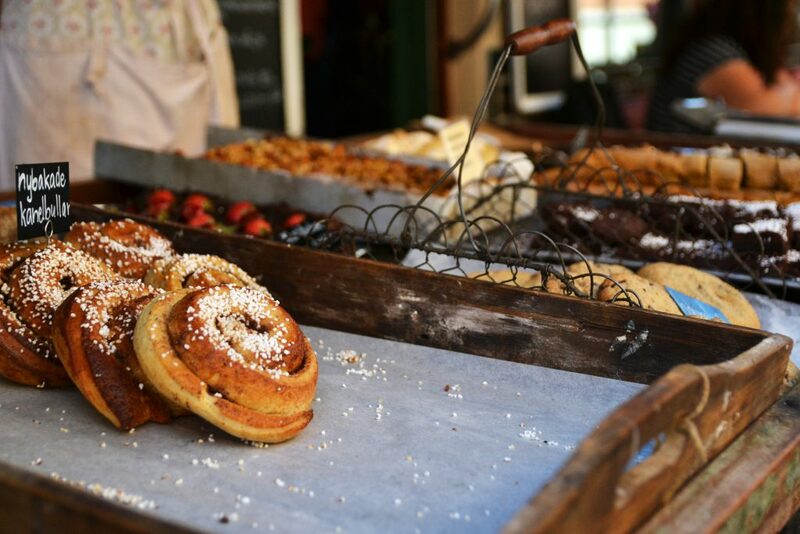 Gothenburg is a foodie’s paradise. 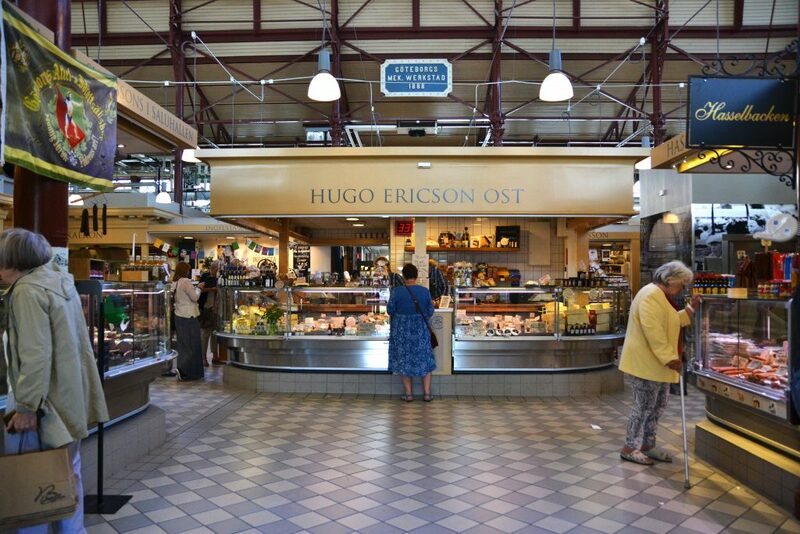 Earlier in the post, I mentioned Gothenburg’s two food market halls. Since one hall is called “the Fish Church” and well, looks like an actual church, it shouldn’t come as a surprise that the city is known for and proud of its delicious and fresh seafood. 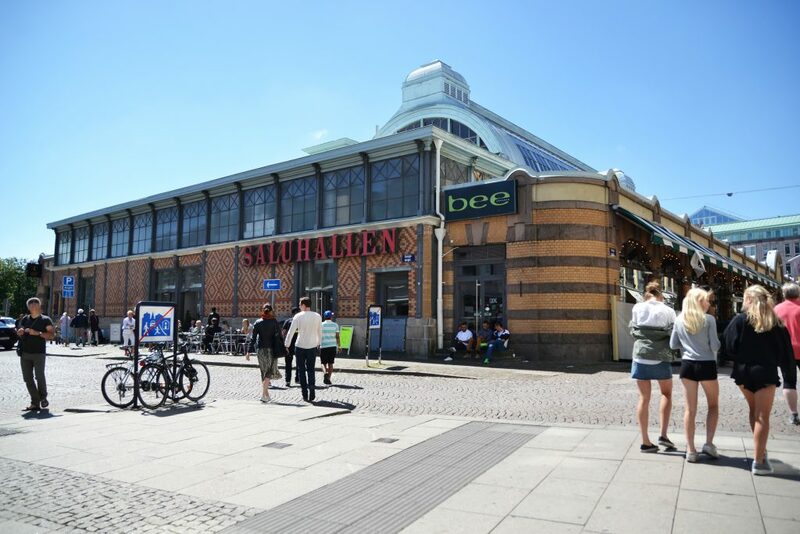 That being said, if you’re interested in trying fish-free delicacies from Sweden and beyond, you can head on over to Saluhallen. 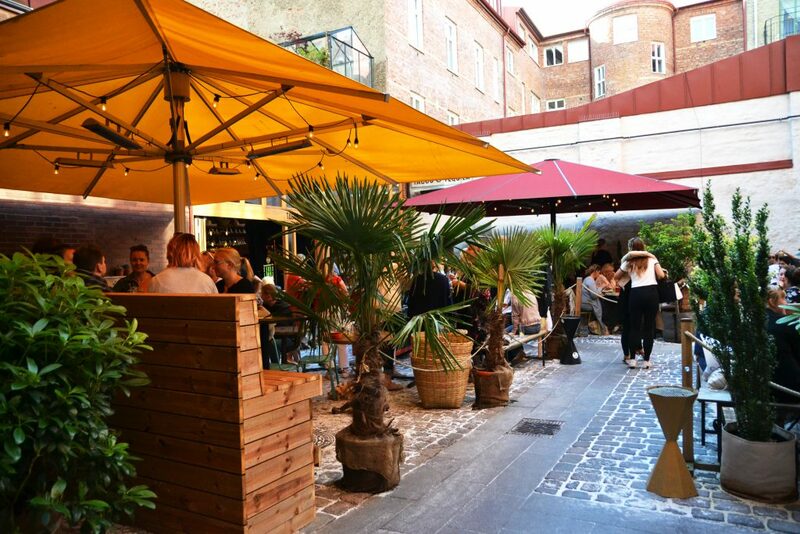 As well, the ultra-hip Linné neighbourhood boasts many one-of-a-kind bars and restaurants prepared to satisfy all sorts of cravings (including cold beer on a perfect summer patio cravings). Those beer-battered fish tacos at Tacos & Tequila were everything. Sorry for gobbling them up before taking a snap. Here’s a pic of their awesome sauce summer patio instead. But maybe you have more of a sweet tooth than a taste for the savoury? Gothenburg can cater to all your foodie needs. 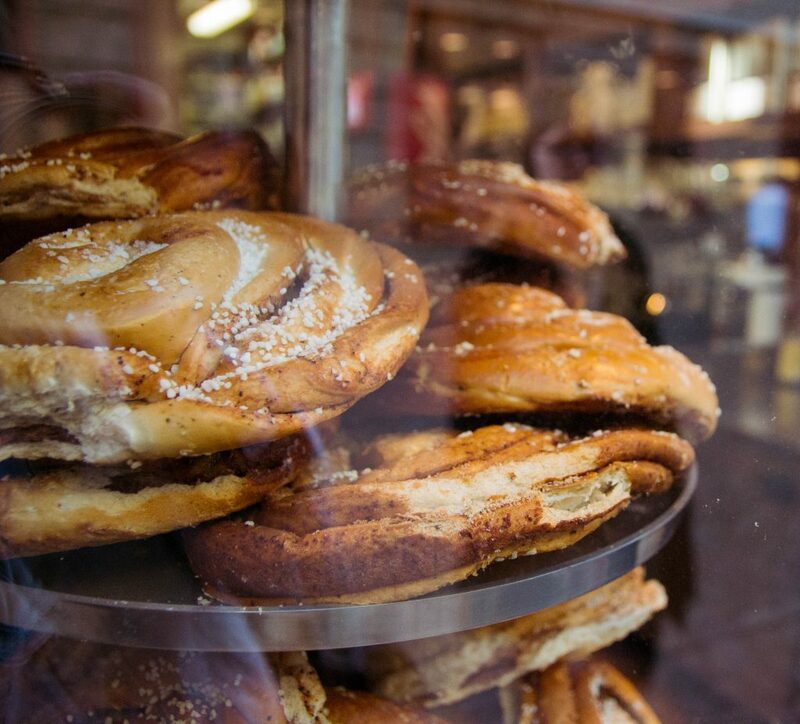 You can take your pick of all sorts of freshly baked goods in the Haga neighbourhood (which is right next to Linné BTW). Popping by Café Husaren in Haga is a must even if it’s just to take a look at the famous Hagabullar – the most enormous cinnamon rolls you will probably ever lay eyes on. Yes, you can buy a whole roll, but can you eat it all in one go? I challenge you. Baked goods in Haga out on display. It’s not surprising that Paris’ Louvre or New York’s Museum of Modern Art are home to quite a few masterpieces. But did you know that you can check out works by Rembrandt, Monet, Munch, and Picasso in Gothenburg? Just head on over to Gothenburg’s Museum of Art (Free museum admission with the Göteborg City Card). Nevertheless, if the contemporary art scene interests you more, you can visit Göteborgs Konsthall. Yet, it’s important to acknowledge that not all of Gothenburg’s art can be found indoors. Artscape, an international street art festival, took place in the city last year (2016). During this festival, national and international artists created magnificent and ginormous murals on many of the city’s façades. 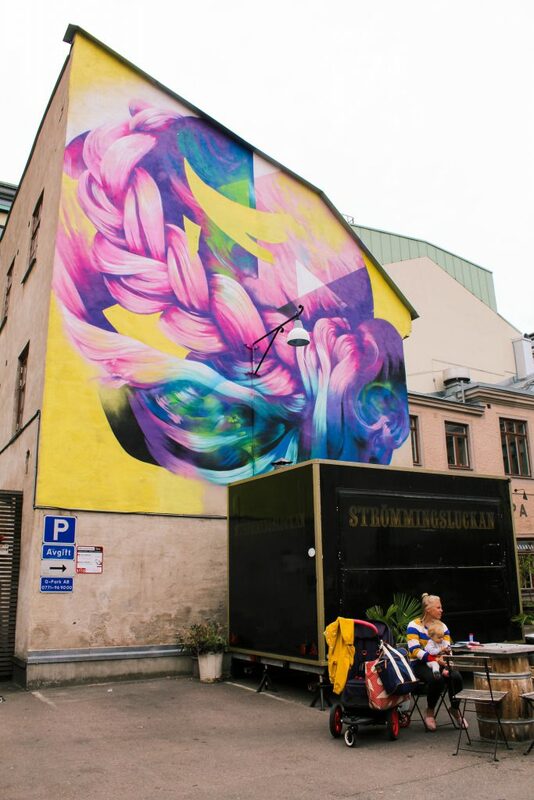 Hueman’s colorful and mesmerizing mural found at Magasingatan 17. “Emma” by RONE on Mandolingatan 39. 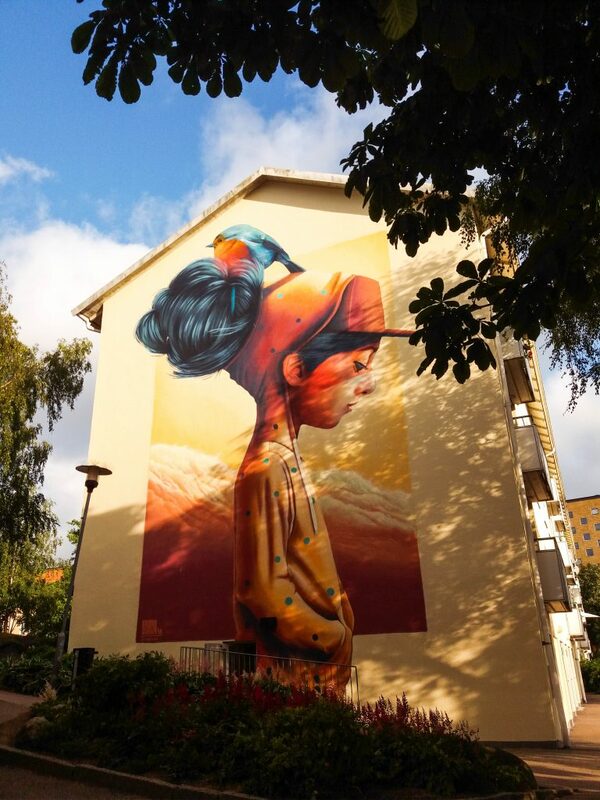 My friend Laura took these stunning photos of Gothenburg’s street art. Click here to check out her European adventures on Instagram. 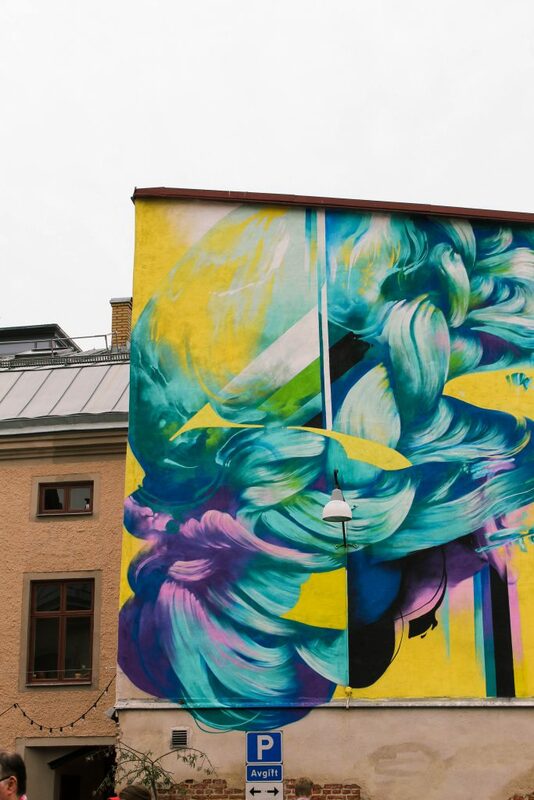 When setting out to explore Gothenburg’s street art, keep in mind that only a handful of works are in the city centre, such as Hueman’s piece. 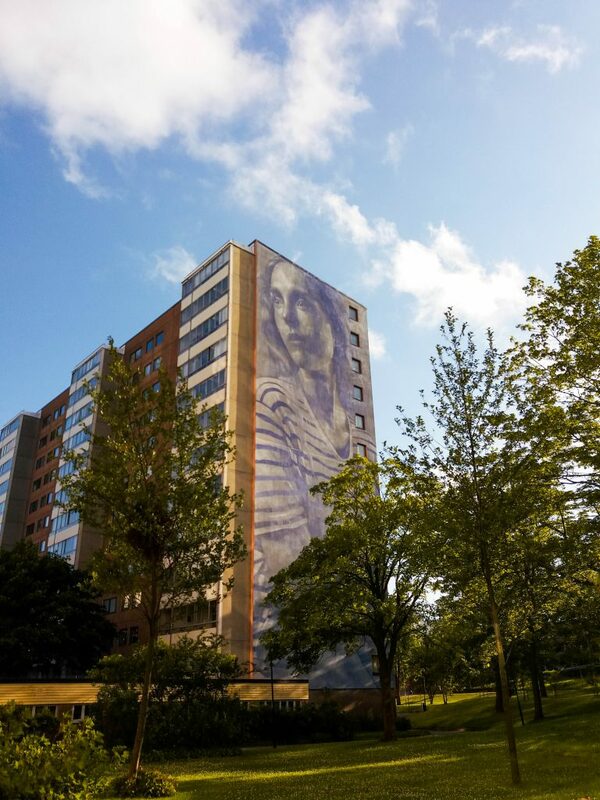 Others are just a short bus or tram ride away (like RONE’s and Yash’s murals). With Gothenburg’s city centre located a 30-minute tram ride away from the coast, the city is a super convenient point of departure for visiting the nearby archipelagos. As well, Gothenburg is about halfway between Denmark’s capital, Copenhagen, and Norway’s capital, Oslo. Therefore, Gothenburg is in a perfect spot for a multi-country Nordic adventure. After three wonderful days in Gothenburg, I hopped on to the train back to my little Swedish town. On the train, I kept thinking (in disbelief) about how it took me 3 years to discover Gothenburg. Was it because the “East-coasters” around me always raved about Stockholm? Or was it due to the proximity of Sweden’s capital city? Well, on thing is for sure: it’s time for Stockholm to share the spotlight with its west coast sibling. Don’t you agree? Have you visited Gothenburg? Would you like to? Share your thoughts and experiences in the comments section below! Planning on travelling to Scandinavia? Increase your reach on Instagram! Wow Anya! 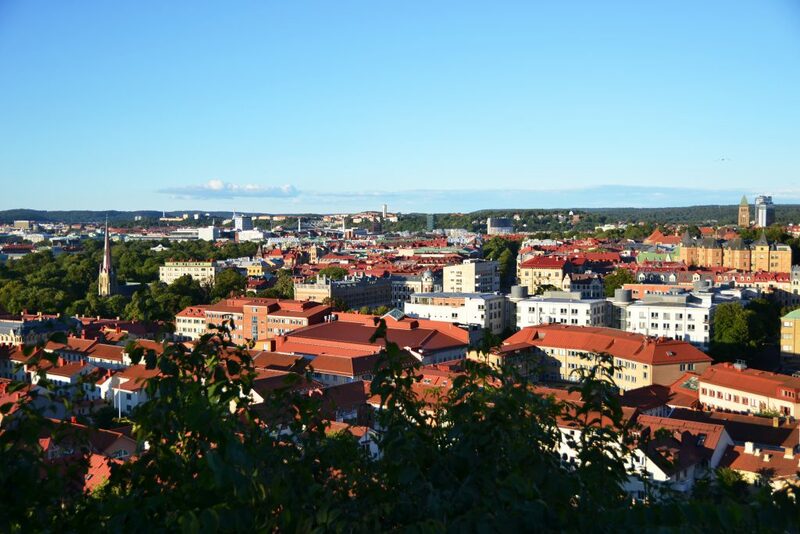 Gothenburg looks incredible – I’m looking forward to our visit! It really is! When are you going? I didn’t expect there to be so much to see and do before I went there either! I hope you get to go back for a second visit. You’ve definitely inspired me! I love your photos. I want to visit Sweden and now I know I have to add Gothenburg to the list. I also love how you managed to weave in an Outlander reference! You’re my kinda girl, haha! Thank you! Haha I debated putting that reference in since it doesn’t have too much to do with Sweden other than the idea of time travel. But my love for the show won me over. Sam Heughan is everything. I actually had no idea what there was to see and do in Gothenburg because like you mentioned I was one of those who instead visited Stockholm simply because it’s a stunning city that everyone raves about. So nice to see that Gothenburg has a lot to offer also. 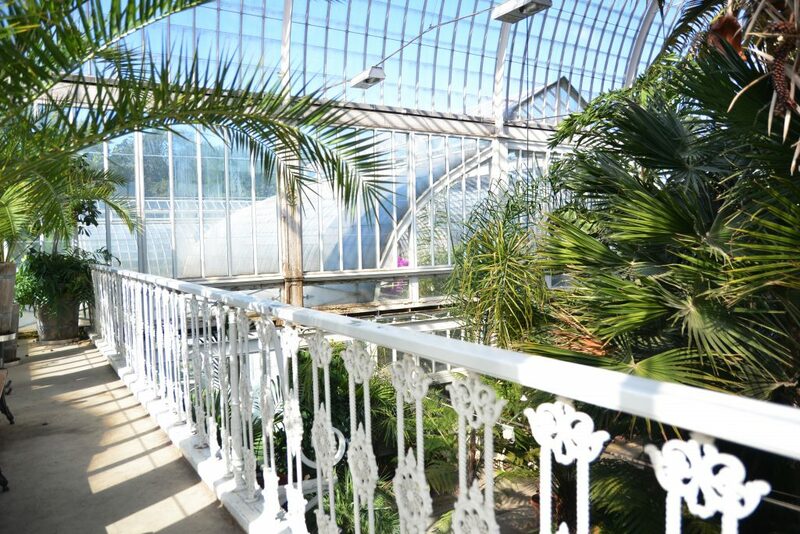 The islands look beautiful as does the Palm House, so tropical in such a cold place haha! Thank you for your comment! I’m really happy to hear that I could give Gothenburg some of the attention it deserves. It’s such an amazing city. Those are some of my favourites too! Okay, the food & art convinced me to add Gothenburg to my Swedish travel list. 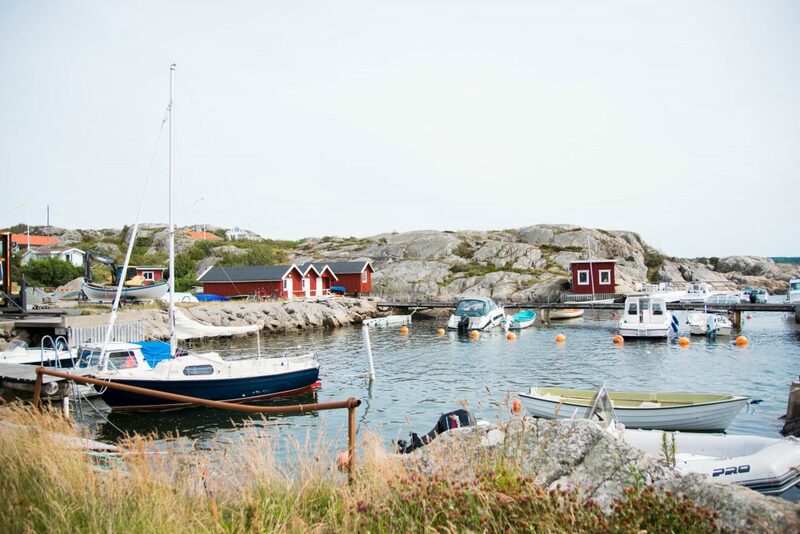 Brännö is also super adorable – I want to vacation there in the summer! Me too! Though I am slightly afraid of looking up the cost of vacation home rentals. Glad to hear you also enjoyed your time in the city despite being tired! Actually I would prefer Gothenburg, especially because Stockholm is ultra posh! It’s your fault tho, the photos in this article are so beautiful, especially the street art! The cities really have different vibes! Gothenburg is more relaxed, but I feel like I will have to post a photo essay about Stockholm to do it justice too.It’s posh, but still beautiful. 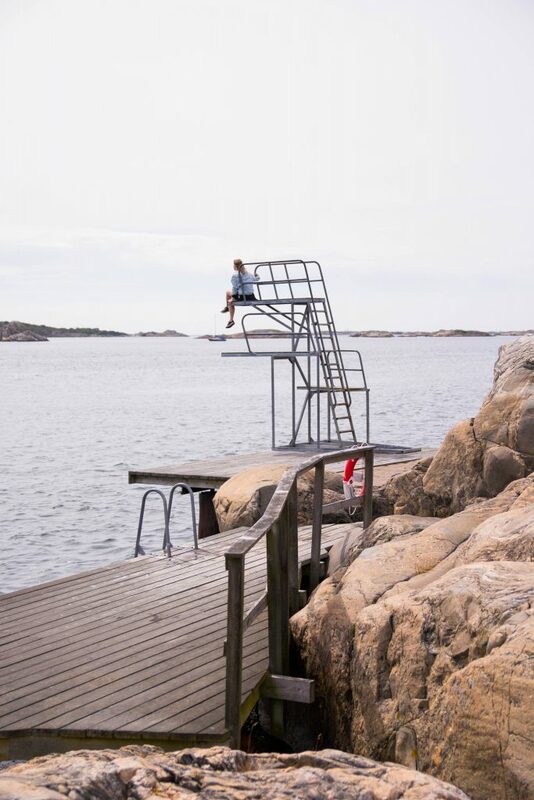 So picture-perfect, the views at the archipelago! And the street art in Gothenburg. I was in Stockholm for 2 days not long ago, but chose to fly out to Norway. Next time I’m back in Sweden, definitely will consider visiting Gothenburg! That would be awesome – especially since Gothenburg is closer to Norway than Stockholm (if you end up flying from Norway again). You had me at archipelago. You had me again at canal. (And I laughed at the low bridges, rather like my trip on the Neva in St Petersburg – you learn to duck, and fast!) And the Palm House and the food markets. A serious contender for our Euro trip list. Thanks so much for sharing! Awesome to hear that St. Petersburg has some low bridges too! I need to visit the city! This is AMAZING! It is such a detailed post and honestly until now whenever I did think about visiting Sweden, Stockholm was always the priority. But thanks to your post, it has been overtaken by Gothenburg. The place is absolutely beautiful. Moreover, your pictures have captured its beauty so well. Can’t wait to visit it one day. Thank you so much! Happy to hear such good feedback about the photos! It’s a photo-heavy post because it was just too difficult to choose which ones to include. LOVE LOVE! this post! Thanks so much for sharing, i always thought of Stockholm until now! Oh I need to head back to Gothenburg as well. It’s been 3 years. Like you, I keep going to Stockholm. But I loved Gothenburg, Brännö Island is so wonderful! I spent a whole day wandering around there and sunbathing. It’s kräftskiva, did you at some fresh kräftor? Brännö was just unexpectedly magical! I would love to go back for longer. And I wish I had the kräftor – I gave in to one of those giant Hagabullar instead and didn’t thing seafood would go too well with it immediately after. Absolutely stunning photography. And I’ve heard from Swedes most of the points you mention. Seems that Gothenburg is definitely a great alternative for poshy Stockholm 😀 I’m from Finland myself, yet still have to visit Gothenburg one day. And you just gave me ten reasons to do so! I’m happy to hear this! Hope you get to visit soon! Thank you so much! My friend Laura can take some pretty magnificent photos! I always see cheap flights from Hamburg to Gothenburg but have never considered it as a destination. But now you’ve changed my mind! I’m really happy to hear that! (And to learn about the existence of cheap flights between these two cities. Maybe I’ll go to Hamburg). Wow! I have not yet had the opportunity to get to any Scandinavian countries, but I certainly have a destination in mind now. Love this post! I will definitely use this guide when I plan my trip to Sweden! Thank you for all this information, it will be useful. Your pictures are amazing as well! Thank you so much! I do hope your trip to Sweden works out! Gothenburg looks so amazing! I love the fun art work and definitely the views. It hasnt been on my radar but now it is!! Great guide! Thank you so much! Even here in Sweden, so few people rave about it. It took a friend studying there for a month for it to get on my radar. I’m definitely happy that it did! Sweden was not really on my list but your blog has convinced me to add it. Pics are lovely. Thank you! And I am so happy to hear that! You know I debated about also going to Gothenburg when I visited Stockholm, but decided that it would be too rushed. I would love to go back and see Gothenburg, your pictures are lovely. Thank you so much! It’s definitely quite the distance to cross for a short period of time. I hope you get to visit soon! I’ve always wanted to visit Gothenburg and your post totally convinced me that I need to go back to Sweden and go here asap! Awesome list of reasons and your photography is fantastic! Thank you so much! I hope you get to visit soon! 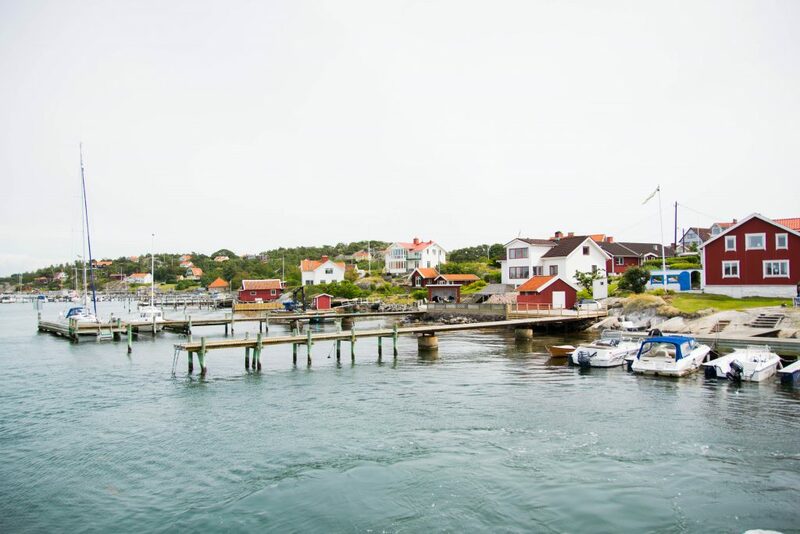 I could spend days exploring that Archipelago or devouring those pastries in Haga! Yum! Yash’s Masterpiece is some of the most incredible street art I have ever seen! What an awesome experience. It was so hard to choose which pastries to eat! There were so many. And I agree, his piece is fantastic. I had no idea until I got there either! I need to go back for a second trip! Gothenburg looks like a total bliss! And these cinnamon rolls… so yummy! I must finally plan a visit to this amazing Swedish city, totally in love with your insightful tips! Thank you so much! So happy to hear that you found it helpful! As a Swede myself, I’m a bit embarrassed to say I haven’t been in Gothenburg yet but this post came in SO handy because I’m going there next weekend(just for a day though). Will need to check out tacos and tequila, looks like a fun place! It’s definitely the perfect place to relax and hang out whether you want to chill in a park, by a canal, on a hilltop, or on a patio! This looks gorgeous! I actually have a student who spends the summer here, and it looks so pretty! Maybe I’ll have to ask them to take me with them next time! Sounds like an excellent idea! Are you a teacher as well? Happy to hear that this post helped! This looks so pretty, especially Haga! I’ll definitely be paying Gothenburg a visit when I get around to visiting Sweden! That’s great to hear! Haga really is picture perfect! Great photos! First I need to get my way to Sweden! It’s like the dream! Stockholm first and then would love to get my way to Gothenburg! Haga is so cute – it’s my kind of space! Gothenburg is the best! You mention loads of the great things but when you come back check out http://www.thisisgothenburg.com for even more reasons to love Sweden’s second city! I’m originally from Gothenburg and I absolutely loved your story about my hometown. Because I grew up in this city I don’t realize how beautiful, diverse and full of enjoyment and nice things to do there is. I recommend many of this places when people ask me what to see and do when visiting but I have’nt never took the time to really appreciate them myself. Thank you för sharing! Thank you for your comment! I really means a lot coming from someone who grew up in the city! We’re just back from a trip to Gothenburg and can confirm – it is FANTASTIC!! With four kids in tow, city trips can be hit or miss depending on what the city has to offer, but Gothenburg has brilliant kid-friendly museums and plenty of parkland for the little ones to let off steam. Really happy to hear that you had a great time! My great-grandparents emigrated from the West coast of Sweden (Varberg) to the USA via Gothenburg about 100 years ago. The old custom’s house now features an emigration museum and is available to look up genealogy by appointment. This along with a guided walking tour were the highlights of our short trip in 2015. We only stayed one night as we we’re headed to Varberg but we will have to come back soon. I definitely have to visit the emigration museum next time I go! Thanks for the tip!